1. Queen Elizabeth wore makeup made out of lead that actually poisoned her. Whoops. During the reign of the first Queen Elizabeth, paleness became synonymous with beauty, wealth, and nobility. To achieve the ultimate pale look, women would slather on this stuff called ceruse, which was a lead-based makeup. Did I say lead, because yeah, the makeup would often eat into the wearer's face, causing abject scarring and damage. As Giovanni Lomazzo, an author from the time period, noted, ceruse "is naturally a great drier ... women who use it about their faces, doe quickly become withered and gray headed, because this dowth so mightely drie up the naturall moysture of their flesh." Sounds...great. In the case of Queen Elizabeth herself, she wore so much ceruse that she ended up dying from it, slowly poisoning herself over time as the lead from the cosmetic seeped into her skin. Prevailing beauty standards at the time also called for women to have small rosy mouths and bright, wide-set eyes. In order to get the bright-eyed look, women would put drops of belladonna — aka deadly nightshade — in their eyes. Side effects included headache, dizziness, nausea, and blurred vision. WHUT. 2. In England in the 1500s, you could be put to death for wearing the wrong feather in your friggin' hat. In 16th century England, sumptuary laws — laws which attempted to create class distinctions and define social norms — regulated the feathers that each class was allowed to wear. First of all, everyone over the age of 13 was required to wear a hat, which seems prettttty wild. Lower classes were relegated to wearing goose, duck, chicken or grouse feathers, while upper classes were allowed to wear peacock, ostrich, egret, swan or pheasant feathers. Anyone from a lower class spotted wearing a pheasant feather was labeled an imposter and could be put to death. 3. During the Georgian era, women's wigs would routinely catch on fire. During the Georgian period (roughly 1714 – 1830), women (and men!) went really wild for wigs. The wigs were often made from purchased hair (the hair of virgins was apparently preferable), which was then supplemented with wool and shaped with sugar water and a greasy pomade. As you can imagine, they could get quite smelly after a few wears and would require regular trips to a barber for shaping and cleaning. 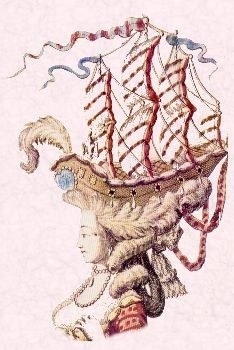 Women's wigs were so huge and elaborate that they often had trouble getting into doorways and had to stoop down or sit on the floor of their carriages to get around. One of the most horrible side effects of these wig monstrosities was that society ladies sometimes bumped into candles and things and accidentally set their insanely large wigs on fire. Newspapers of the day were full of terrible accounts of women burning themselves to death in wig-related accidents. 4. 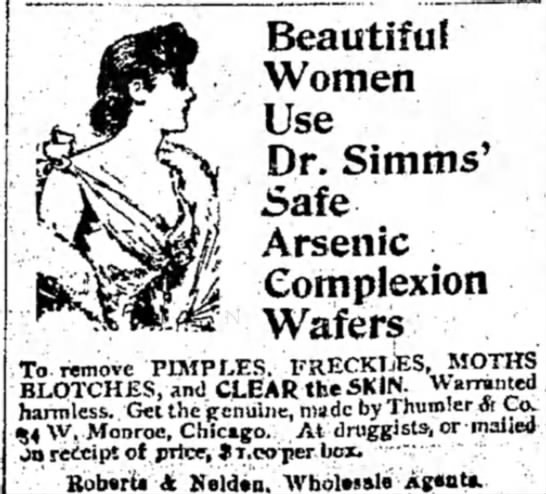 During the Victorian era, women would use ARSENIC to clear up their skin. So in the mid-1800s, a group of "Arsenic Eaters" in what's now Austria were discovered. The group was known for ingesting small bits of arsenic and having realllllly great skin and overall health, having built up a tolerance for the poison. 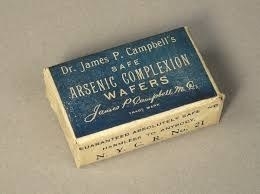 The only problem was, once they tried to stop taking the arsenic, their overall health and wellbeing plummeted. Still, drug and cosmetics manufacturers saw an opportunity with the poison and really went for it. They created pills, a face cream, and even arsenic spa baths, that helped women achieve a soft, pallid complexion. The only downside was the EXTREMELY long list of potent side effects, including headaches, diarrhea, vomiting, stomach pain, cramping,convulsions, drowsiness, blood in the urine, and hair loss. What's worse, many reported that when they tried to stop taking the pills, their symptoms would worsen. Users were, in effect, forced to continue to poison themselves in order to feel even slightly better. 5. 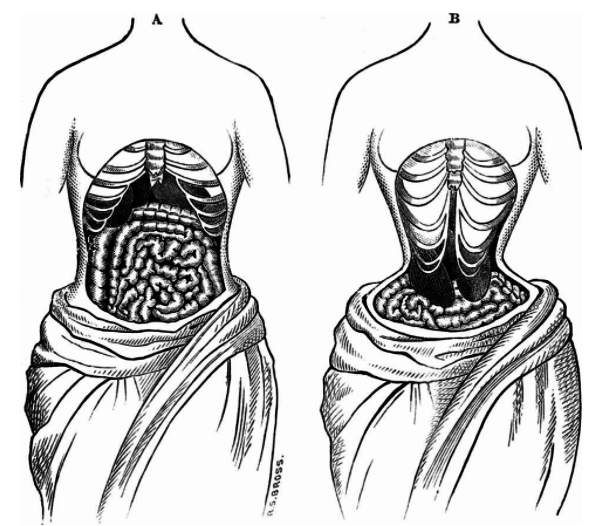 Corsets were laced so tight they sometimes cut a woman's stomach in half. 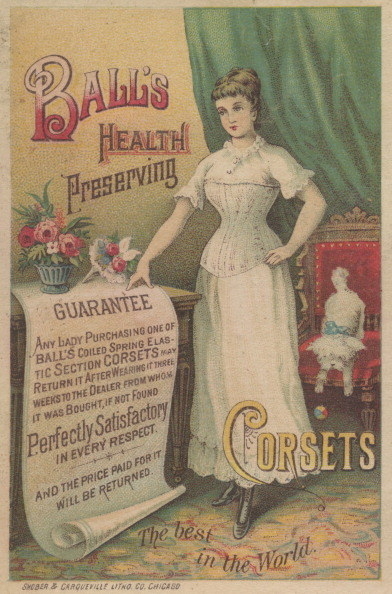 Tight, organ-constricting corsets were super popular during the Victorian era, and it was thought the tighter you could lace your corset, the better. (Yup, unreasonable standards for femininity have been around FOREVER, go us). Unfortunately, the practice often resulted in women doing permanent, gruesome damage to their bodies. In one reported case, a woman with a 13-inch waist died and it was found that her liver had been punctured by three ribs. Another woman had corset puncture wounds in her heart. Still another had her liver flattened by tight lacing. Tight lacing even took out a female impersonator; stage actor Joseph Hennella collapsed during a vaudeville show and died later that night. Women suffered a laundry list of ailments thanks to their corsets, including headaches, shortness of breath, poor circulation, and fainting (duh). 6. 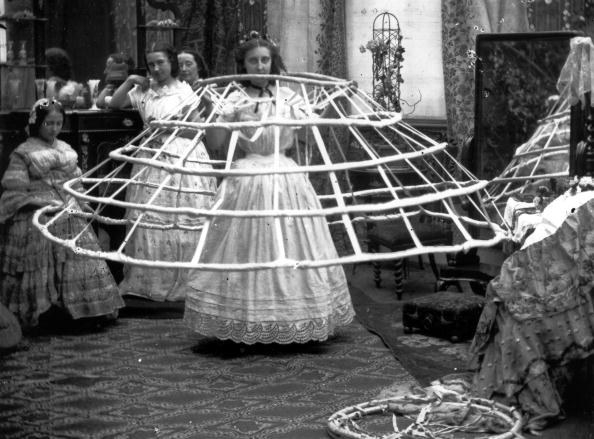 Crinolines caused women to constantly fall over and occasionally set themselves on fire. Crinolines, or hoop skirts, were in vogue for much of the 19th century. They were often made out of a combination of horsehair and steel. Because the hoop of the skirt sat out far from the body, women had to be incredibly careful about how they walked around in their dresses. Many, many, women — estimates say around 3,000 or so — caught fire while wearing a crinoline skirt. Additionally, if the skirt was caught by the wind, a woman could find herself potentially ushered off the edge of a pier or a cliff. 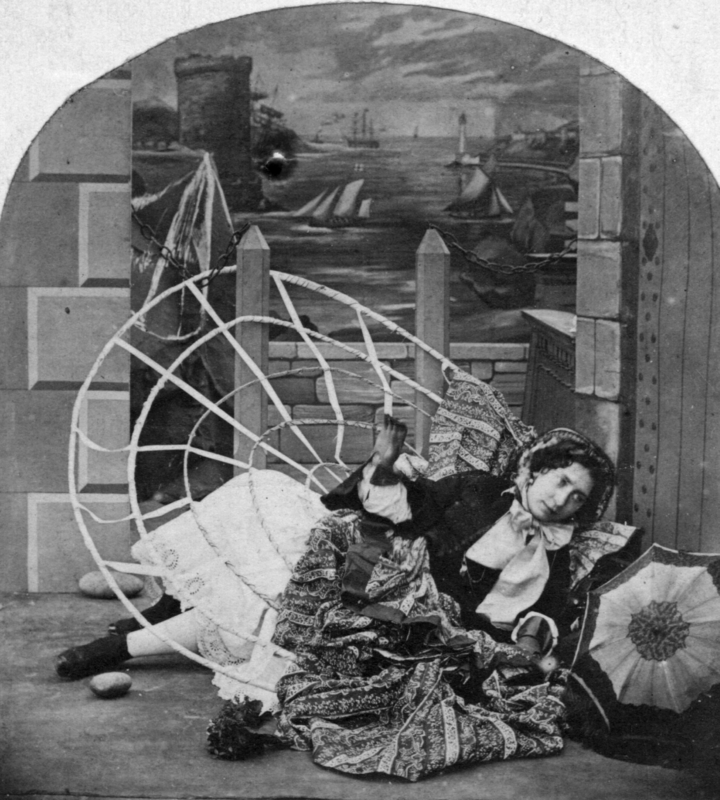 And what's more, skirts were often caught in machinery, or in the wheels of wagons or buggies, One woman, it was reported in The Essex Standard, actually worked in a crinoline factory and was killed when her skirt was entangled in a machine and her skull was crushed. 7. Men would sometimes choke to death on their detachable collars. Wow, well, what a way to go. In the 1800s, men used to wear heavily starched and stiff detachable collars, which were great because they were easier to clean. Except that sometimes, after a night of heavy drinking or whatever, guys would pass out in their constricting collars and DIE from asphyxiation. In one particular case, a collar completely choked off a man's windpipe, and he was found stone cold dead on a bench. Another man died after an attack of indigestion left him with a swelled neck that was then restricted by a starched, stiff collar. Collar-related deaths happened often enough that it was referred to as the "father killer." Damn. 8. Women used to get deathly ill from dousing their skirts in water. 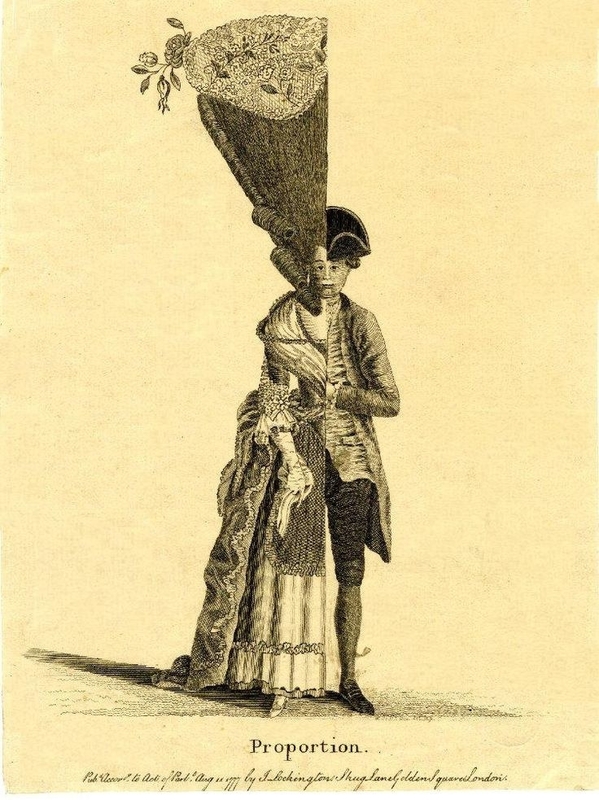 In the late 18th century, for a brief moment, it became popular to forgo all the corsetry and contraptions of femininity in favor of flowy Regency-style gowns. Regency gowns were pretty similar to Grecian togas or dresses in their simplicity, and served to really emphasize the feminine form and highlight the natural curves of a woman's body. To really get the most out of the look, women used to wet the muslin fabric of their dresses so that it would really cling to their bodies (like that saucy lady on the left in the painting above.) Not a really big deal, EXCEPT! Intentionally wetting a gown to make it cling to your body probably isn't a great idea when it's cold outside already and you're not wearing undergarments, like the majority of middle class women of the era. Scads of women came down with pneumonia as a result of the fad. And several doctors blamed the wet muslin trend on a serious outbreak of influenza that hit Paris in 1803. They even named the epidemic "wet muslin" disease. Way to blame it on the ladies, guys. 9. And finally, the hobble skirt made it nearly impossible for women to walk around. In the early 1900s, the designer Paul Poiret created a horrible contraption called the hobble skirt, which constricted women's movements from the knees down forcing them to "hobble" around taking tiny, tiny steps. Many thought the skirt made women appear more ladylike and dainty, but other felt the skirt was a safety hazard, causing women to trip and fall. In some cases, the confinement of the hobble skirt resulted in death, as when a horse bolted through crowd and a woman was unable to move out of the animal's way. Another woman died after she stumbled on her skirt and fell over the railing of a bridge. Luckily, the hobble only really lasted from 1910 to 1913 before it fell out of fashion.